Mental game experts, Jaki Hitzelberger, M.A. 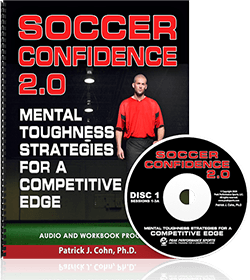 and Dr. Patrick Cohn team up to bring proven sports psychology strategies for soccer to improve your mental game and get the most out of your soccer performance. We will be taking questions from our readers and occasionally we will interview other experts – soccer players, coaches, and mental game specialists. 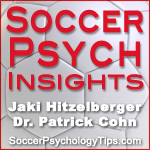 In this very first episode of Soccer Psych Insights, Jaki Hitzelberger and Dr. Patrick Cohn talk about what it means to get into the zone and how to achieve a zone focus in soccer. Getting into the zone is a coveted state for all soccer players, but it is easier said than done. If you are not proactive with your mental preparation, focus, and confidence – your ability to play in the zone will be inconsistent. 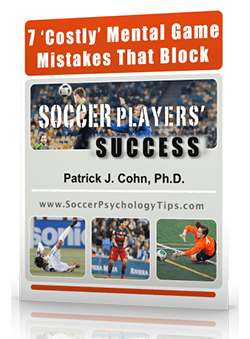 In this episode Jaki Hitzelberger and Dr. Cohn discuss some important ways soccer players can get into the zone and stay there game after game.